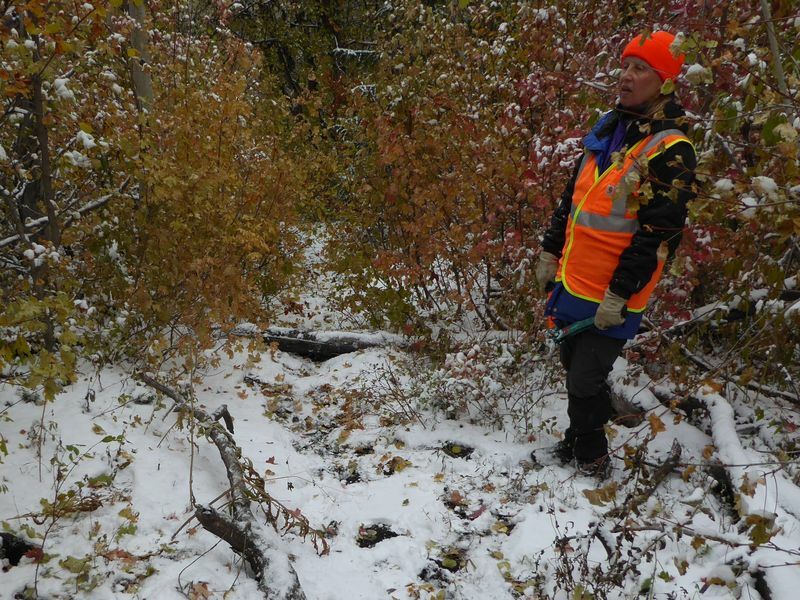 Several trail maintenance actions were done on the Spawn Creek Trail in October. Recent storms left snow on the ground. 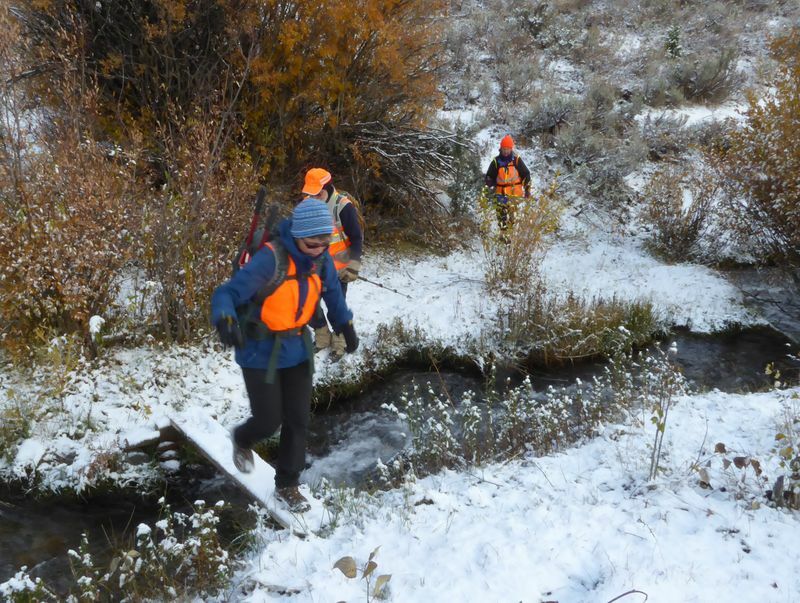 The elk hunting season was in progress so everyone wore "hunter orange" clothing. 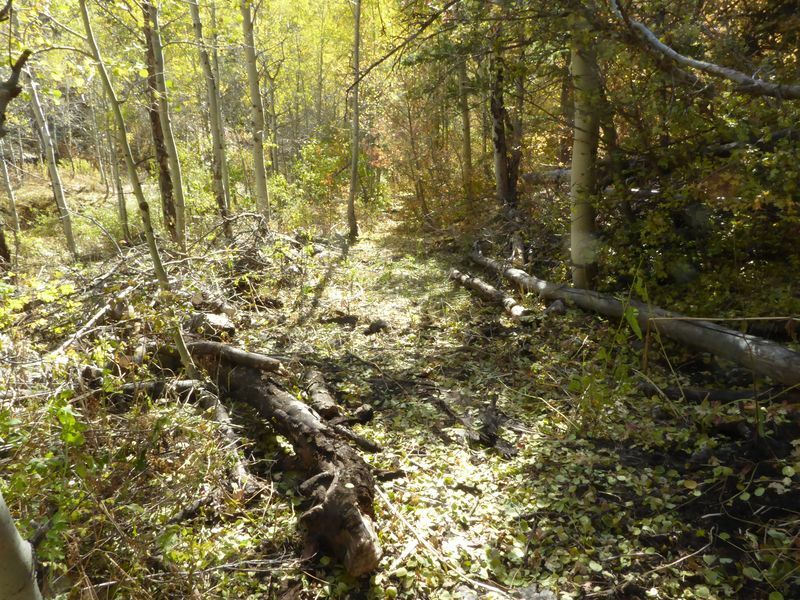 Saturday, October 7, 2017: Dave W., Jane and Aaron met Camille Stephens of the US Forest Service at the Sinks Road at 9:00 and drove to the upper Spawn Creek Trailhead. 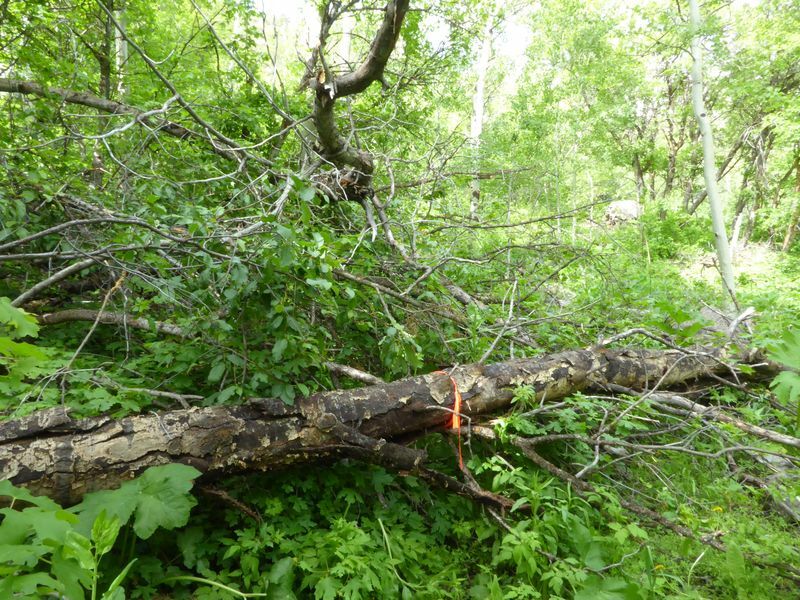 Camille used a chainsaw to cut deadfall while the others assisted and did a little brushing, too. 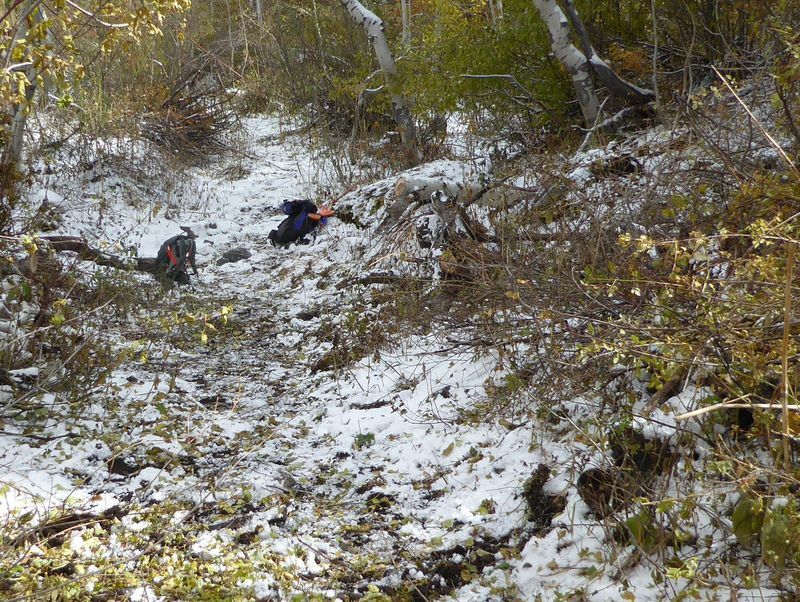 Camille and Aaron went back at 12:30 after clearing the upper 1.1 mile of trail. 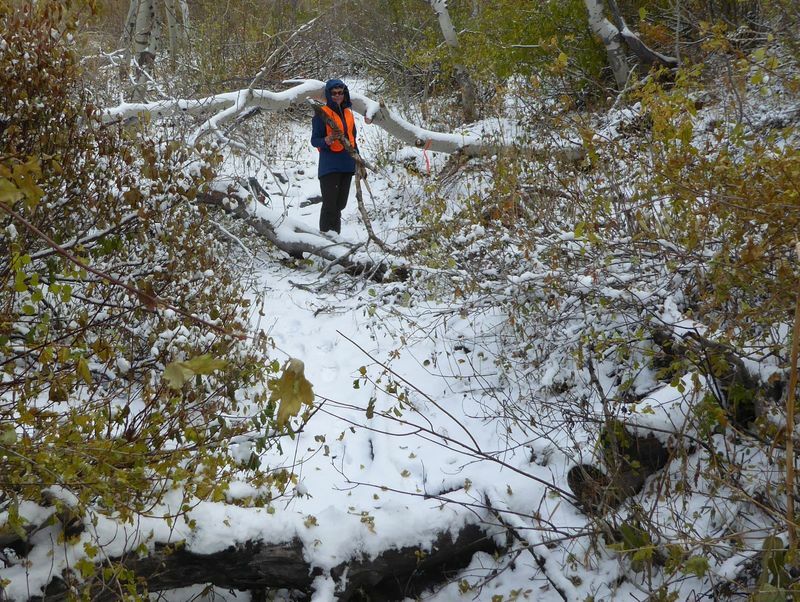 Jane and Dave continued down the trail, hand-sawing deadfall along the way to Temple Aspen Spring, about another 1/3 mile. They also scouted and re-flagged the trail down to the location of our June 17 activity before heading back up. 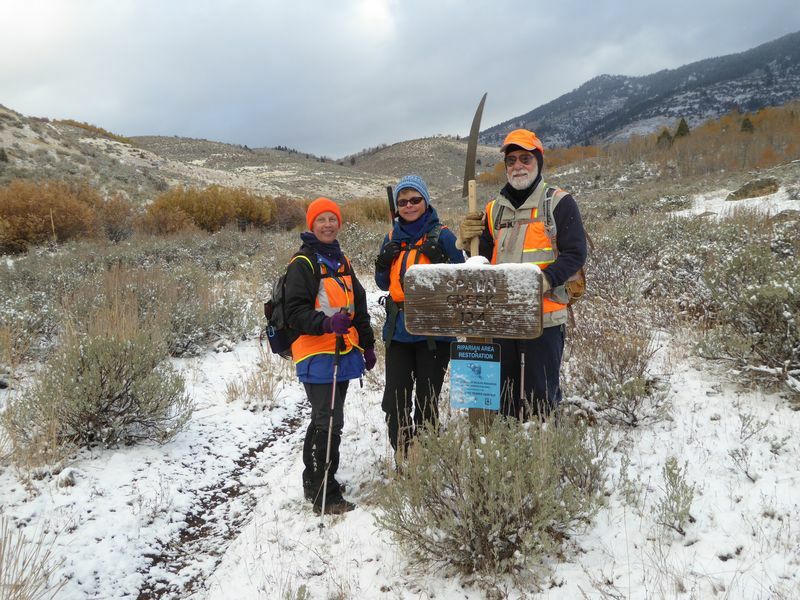 Saturday, Oct. 14, 2017: Dave W., Jane, Teresa and Dave P. met for the Spawn Creek trail maintenance activity (with only a few participants, they did not need the trail tools that had been provided by the U.S. Forest Service). 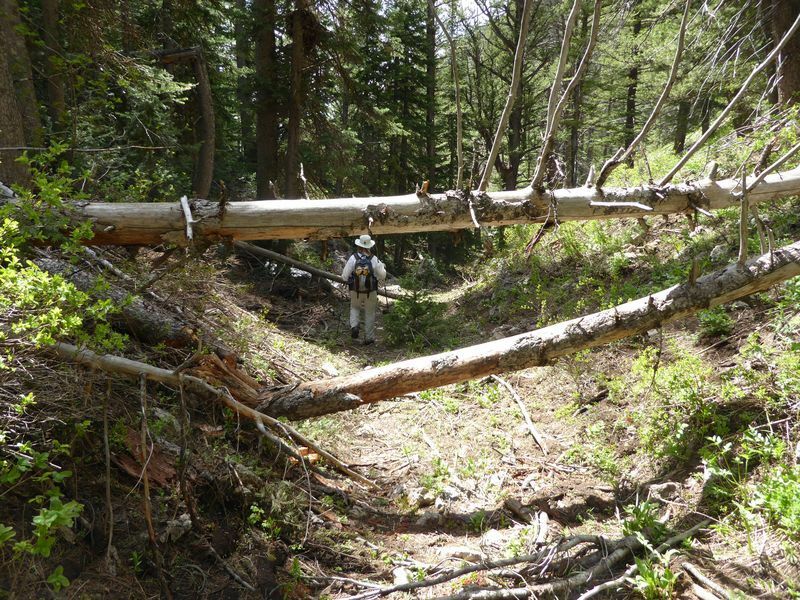 They hiked up from the lower Spawn Creek Trailhead and started clearing trail at the June 17 location (mile 2.3). They logged the trail up to the stream crossing about mile 2.5 and brushed most of that section. Monday, Oct. 16, 2017: Jane took Dave W. to the the upper trailhead. 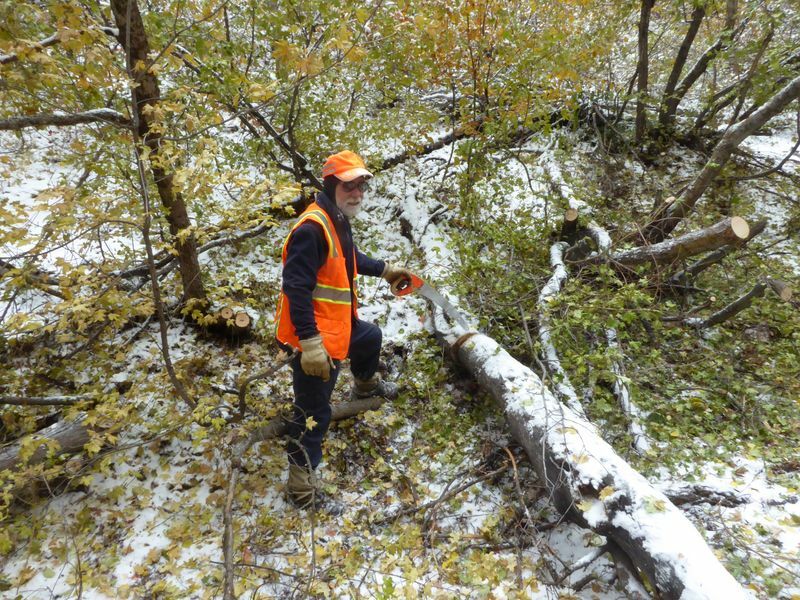 He sawed logs and did some brushing as he traveled down the trail to the lower trailhead and his waiting car. 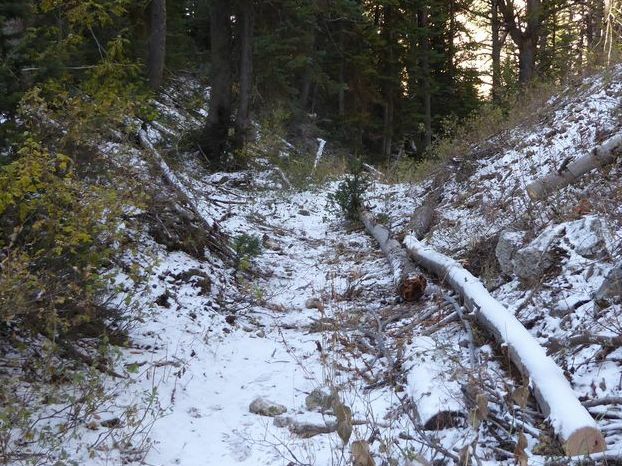 By the end of the day the entire trail was cleared of logs and the worst spots have been brushed. Thanks to Dave W. for the narrative, photos and GPS work. 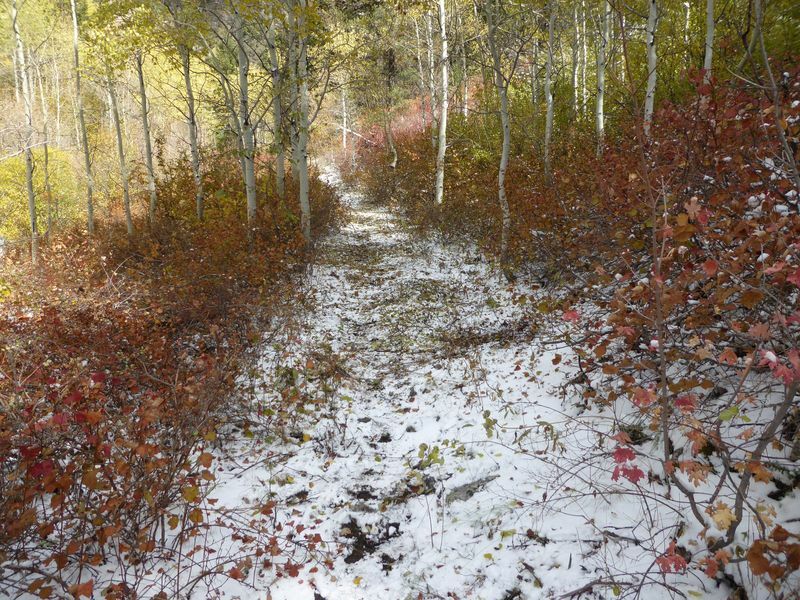 The trail has been brushed up to mile 2.5 and logged from end to end.